Chief Olabode George, on Friday said he remains the best candidate to be the next chairman of the party. “Our party needs a rescue. Our party needs redemption. Our party deserves a balanced, experienced, tested, trusted and a faithful hand. “Our party needs a team player and a unifying leadership. Our party needs stability. “Here and now, I am humbly making a stand and a declaration as a candidate for the position of the office of National Chairman of our great party with a vision to serve as a bridge builder, as a peace maker and healer of broken pieces, “he said. Chief Ebenezer Babatope, said George was the most qualified to lead the party. He said he had a track record of performance and that he had the experience to return the party to winning ways. “George has the maturity, the experience, the courage to lead our party. He has a track record of performance. 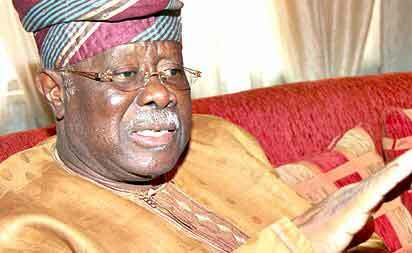 He will deliver,” Babatope said.